From the Palette Operations window, you can clone palettes in Harmony Server. 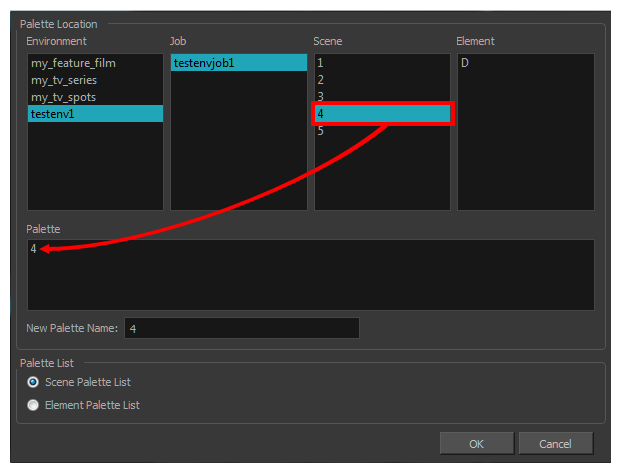 Select the palette you want to clone at the location and level in which it was stored. Select the Don't show this message again option if you do not want to see this message every time you perform this operation. 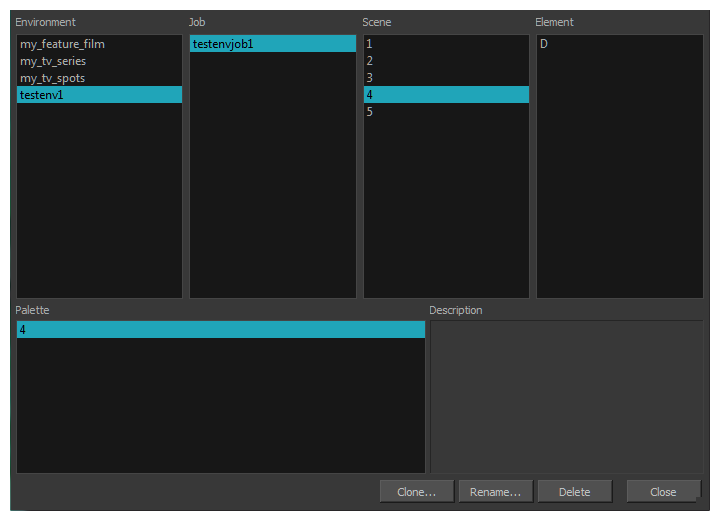 Select the level to store the palette file. In the New Palette Name field, enter the name of your palette.